In this article, we explain the SEO Pro blog delivery process and respond to frequently asked questions. How does B12 write my monthly blogs? After your website goes live, a member of B12's Customer Success team will begin your initial website optimizations. If you subscribe to B12's SEO Pro plan, you'll receive a content calendar containing 6 months worth of blog topics. Let the Customer Success team know what you think of the 6 blog topics contained in your Content Calendar. If you like them, great! If not, let us know what we should change so we can send you a new set of blog topics to review. If we don't hear back from you in 5 business days, your Content Calendar will be auto-approved and we'll start writing your first blog. You can ask to edit the Content Calendar at any time, even after it's been auto-approved. Each month, our team will write your blog posts and post them to your website on secret page. We'll send you a link to the secret page within 5 business days of the scheduled posting date so you have time to review and edit the content. 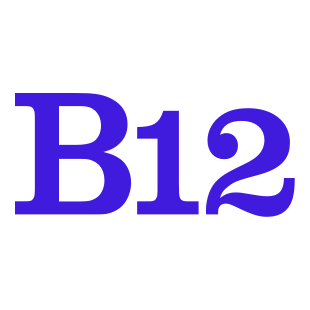 You should take this opportunity to provide revisions and suggestions to your blogs or you can update the blogs on your own using the B12 website editor. If we don't hear from you within 5 business days, your blog posts will be auto-approved. Please keep in mind that you can ask for revisions or edit the blog on your own at any time, even after the blog is live on your website. Once your blog post is approved, B12 will publish everything to your live website so you can generate more traffic. Every month, we start the whole process again: we'll send you a new blog post 5 days before it's set to be published, you'll provide your feedback so B12 can make revisions, and then we'll post everything on schedule. When you have only two months of blog posts remaining, we'll will send you a fresh Content Calendar with 4 brand new blog topics for your approval. Just like your first Content Calendar, please provide feedback on these new topics within 5 business days or everything will be auto-approved. You will be able to request changes even after your Content Calendar has been approved. If you have any questions not answered in this article, please contact your dedicated Launch Specialist or email your question to the Customer Success team at hello@b12.io.